When I’m car camping, I don’t like to rough it. I like to live in luxury. If I’ve got a truck to carry my stuff, I’d just as soon have all the comforts of home to the extent possible. When I’m backpacking, I’m content with lightweight freeze dried meals, but when I’m living out of my vehicle, I want to eat well. 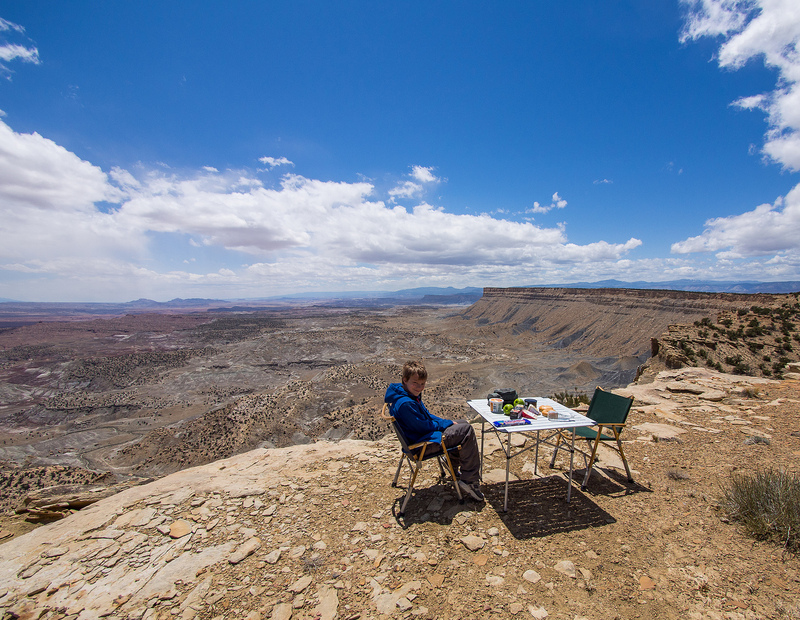 There’s something extremely satisfying about cooking and eating a tasty well-cooked meal at your vehicle base camp. Kanz Field Kitchen with Partner Stove and Bacon! I have experimented with various stoves for car camping, and have a number of different camp kitchen set ups, some modern and some vintage. 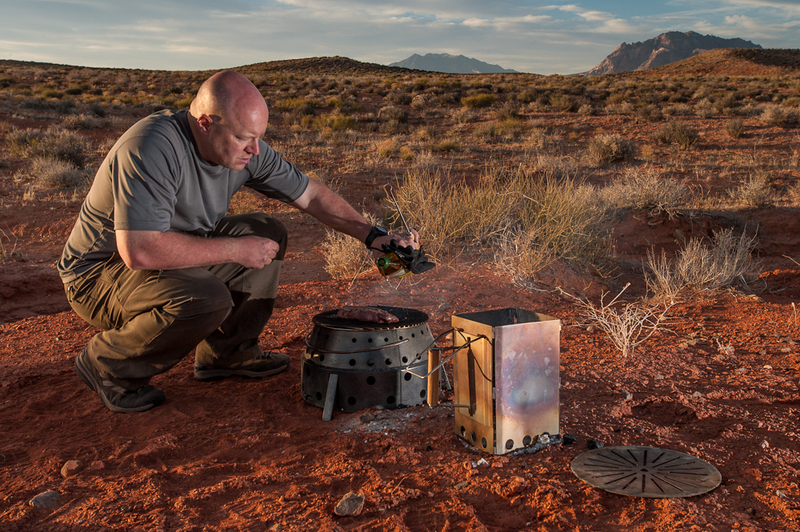 My hands-down favorite is the Kanz Camp Kitchen with the Partner Steel dual burner propane stove. 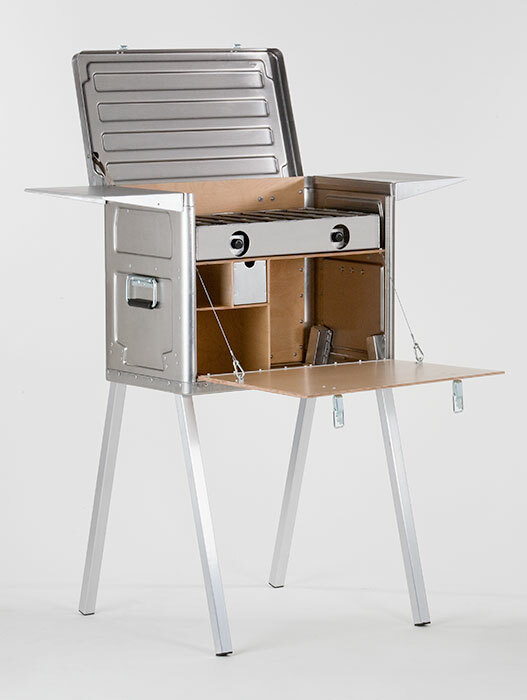 The Kanz Field Kitchen is very nicely made, constructed of aluminum and high quality birch plywood. It is well thought out, with ample storage space for pots, pans and other cooking necessities, and plenty of work space, assuming that you buy the add-on side shelves and the brackets that turn the top lid into another shelf. 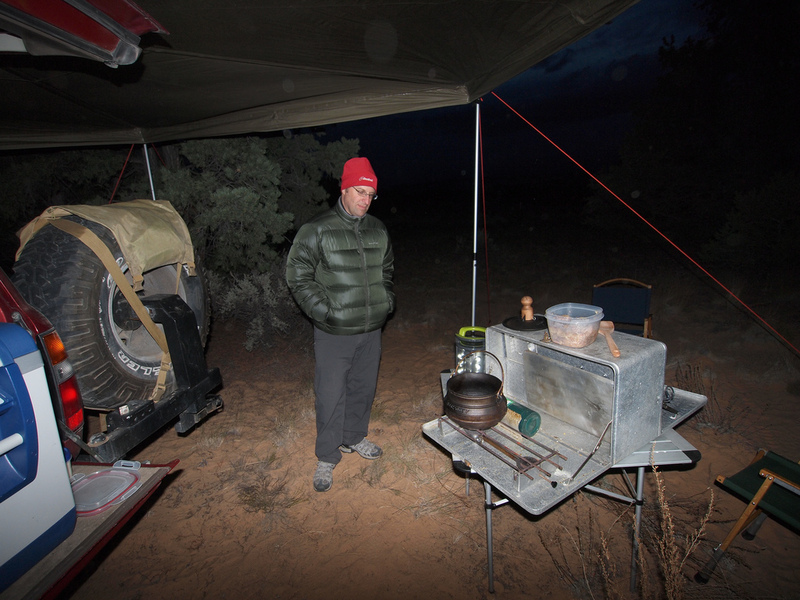 The Field Kitchen can be purchased alone, or with a variety of stoves. I bought mine fitted with the Partner Steel dual burner propane stove. The Partner Steel stove is a real performer, putting out 10,000 BTU’s from each burner. Heat control is excellent, and you can adjust the heat down to a very low level without the burner sputtering or going out. No need to compromise on your meals with this kitchen. There is one thing however, that I really hate about the Kanz Field Kitchen, and that is the legs. I have the long leg set, so I don’t have to use up table space for the kitchen. However, in order to attach the legs to the kitchen, you have to slide them into holes in the bottom. This is a rather difficult job given that the kitchen is pretty heavy when loaded down with all of my cooking kit. It is particularly difficult if you’re trying to do it by yourself. I’ve attached and detached the legs on my kitchen dozens of times, and I still haven’t found a way to do it easily. I use the stove in conjunction with a lightweight aluminum propane tank from Worthington. It’s a 6 pound cylinder that is taller and skinnier than most. It works well for my purposes. If you can’t find them elsewhere for cheaper, Kanz sells them on their site, here. 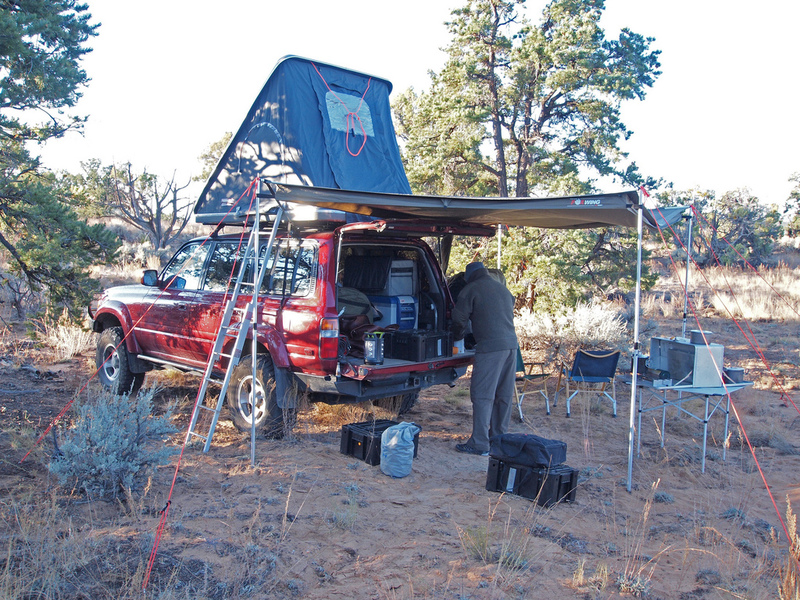 For me, the Kanz Field Kitchen is the best I’ve used. The Partner stove is truly amazing, and the stove is very well integrated into the kitchen. The whole set up is super quality constructed and will likely outlast me. 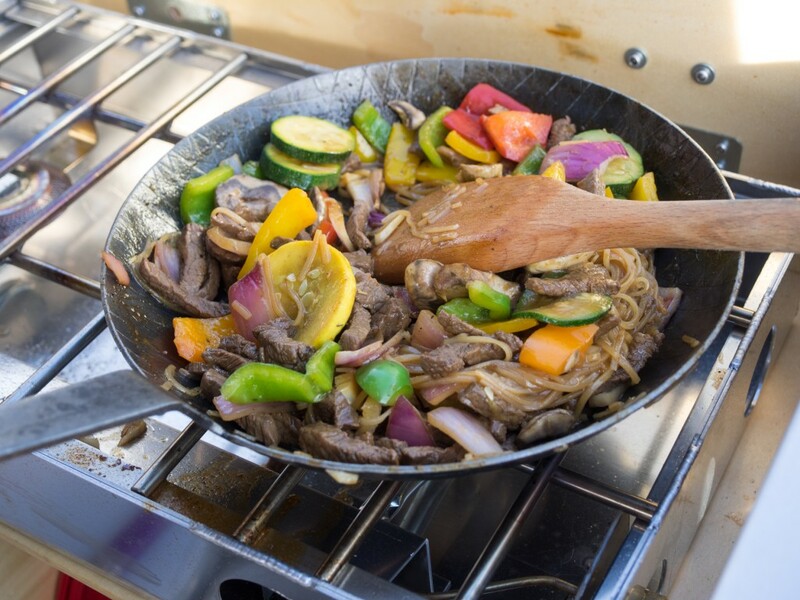 It’s a great camp kitchen that really doesn’t compromise on performance. However, all that quality and performance doesn’t come cheap. 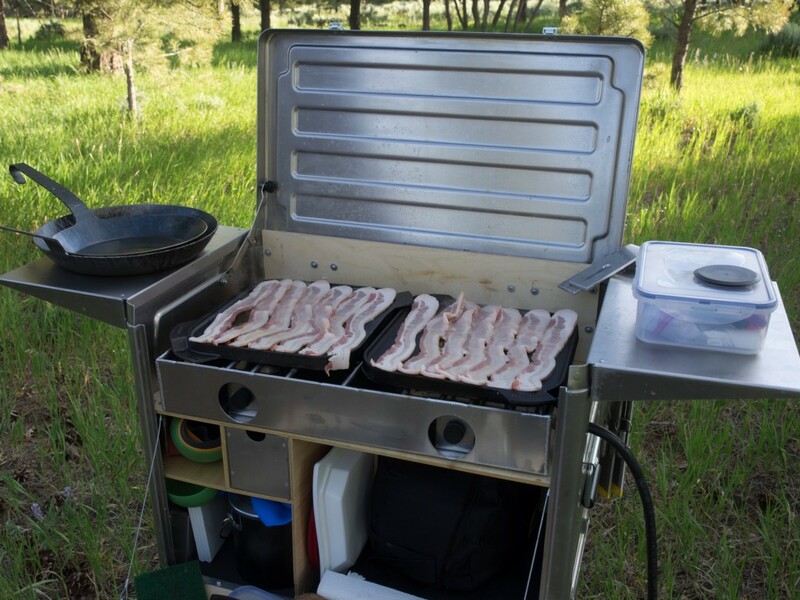 A fully kitted out Field Kitchen with a propane cylinder will run you close to $1,500. If you can get past the price tag, then the only other down side is that if your food tastes bad on a car camping trip, you can’t blame the kitchen. I used to be a backpacking snob. I felt that backpackers that explore the wilderness walking around on their own two feet, carrying everything on their back were morally superior to folks who drove into the backcountry in a vehicle. 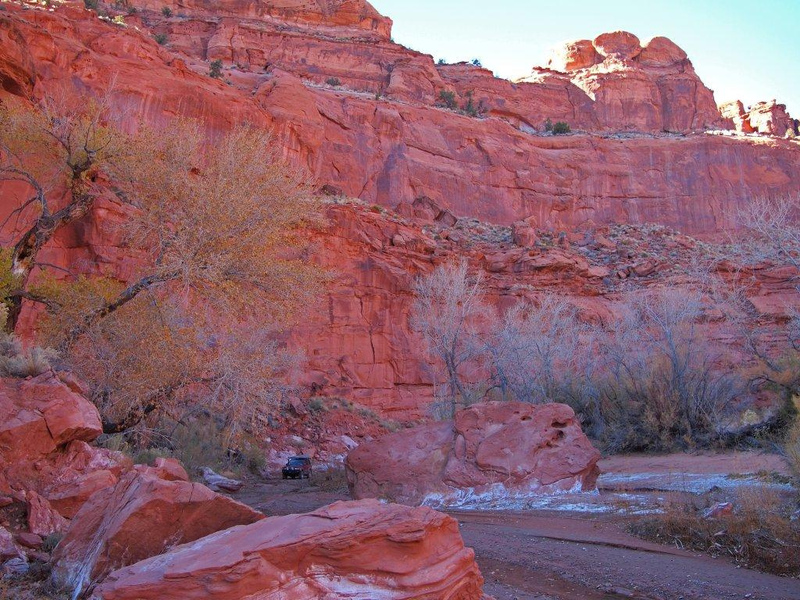 However, after spending a fair amount of time in Utah’s deserts and canyons, I’ve become a convert to a hybrid form of backcountry travel that involves both driving and hiking. 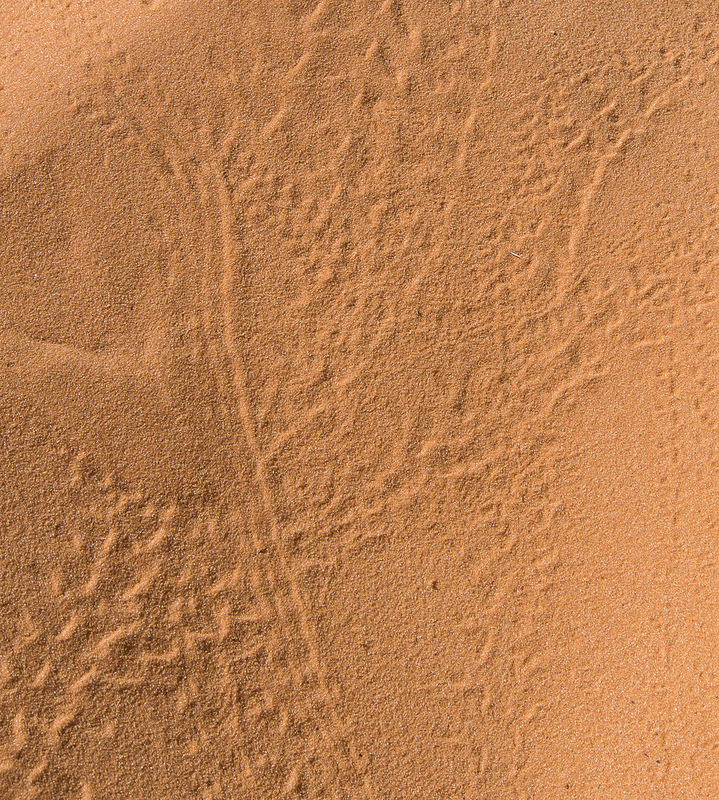 The hard fact is that it’s kind of difficult to do a whole lot of desert travel without a vehicle. The first issue is lack of water. 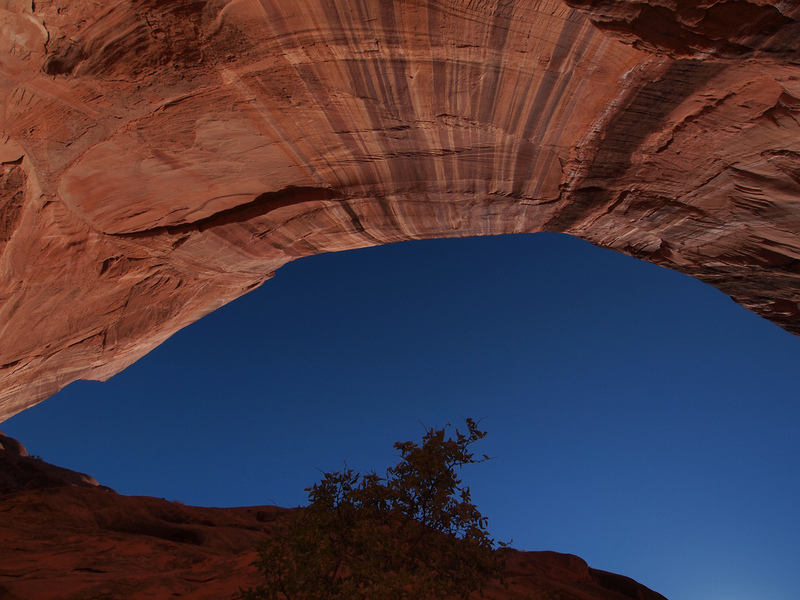 While traveling in the mountains, you’re often near a stream, lake, or other water source, the desert is typically pretty dry, which means that you need to carry all of your water with you. 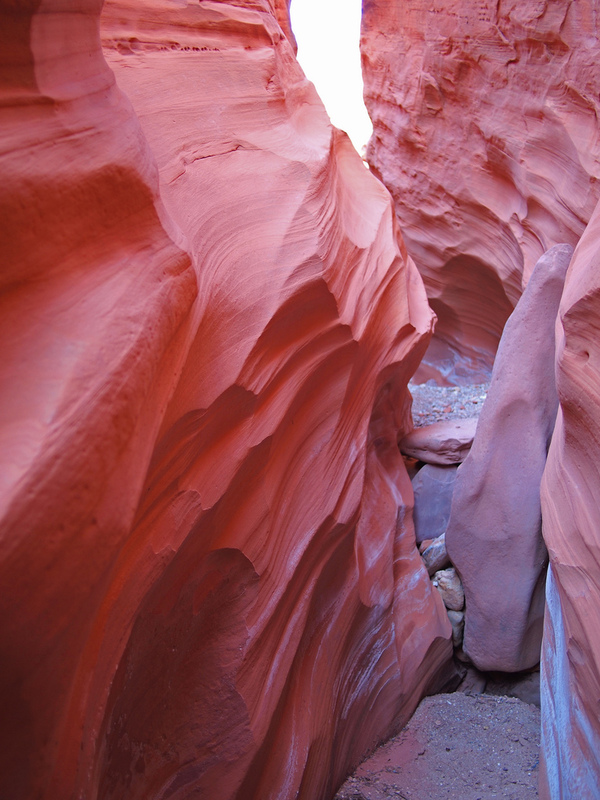 The second issue is the sheer size and inhospitable nature of the terrain. Having a vehicle makes it feasible to access places that would be very difficult to reach on foot. 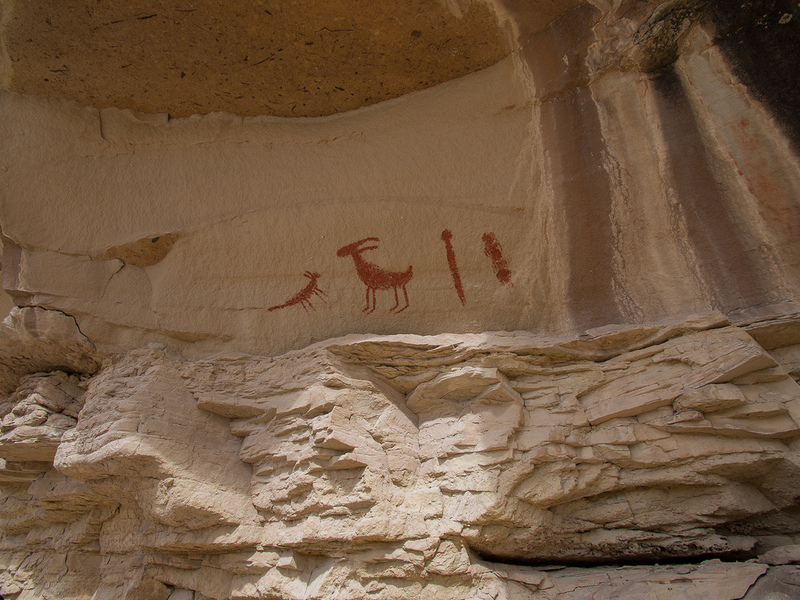 The third issue is that Utah’s deserts tend to be criss-crossed with dirt roads and 4-wheel drive tracks. There seem to be a lot more 4×4 trails than hiking trails. So, my typical desert exploration practice has been to use my vehicle as a mobile base camp. 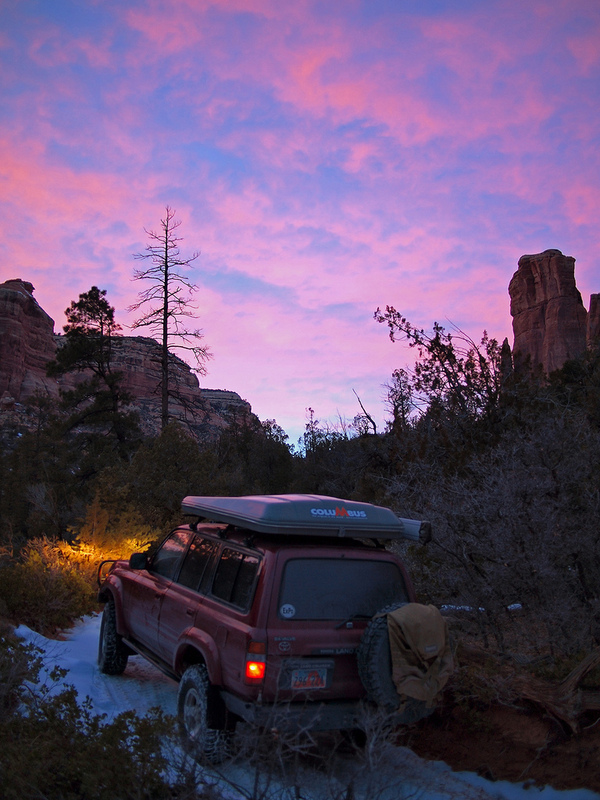 I drive to interesting places, then head out on day trips or the occasional overnighter with a light pack. The luxury and convenience of a vehicle has given me a different outlook on “camping” compared with my backpacking or climbing trips. When I’m climbing or backpacking, I tend to go as light as possible. I sacrifice comfort, food quality, and take only the essentials. When I’m using my vehicle as my mobile base, however, I have a completely different paradigm. When car camping, my exemplar is the Colonial British officer on campaign. Just because I’m in the backcountry, I don’t have to give up comfort. My camping isn’t quite this luxurious. 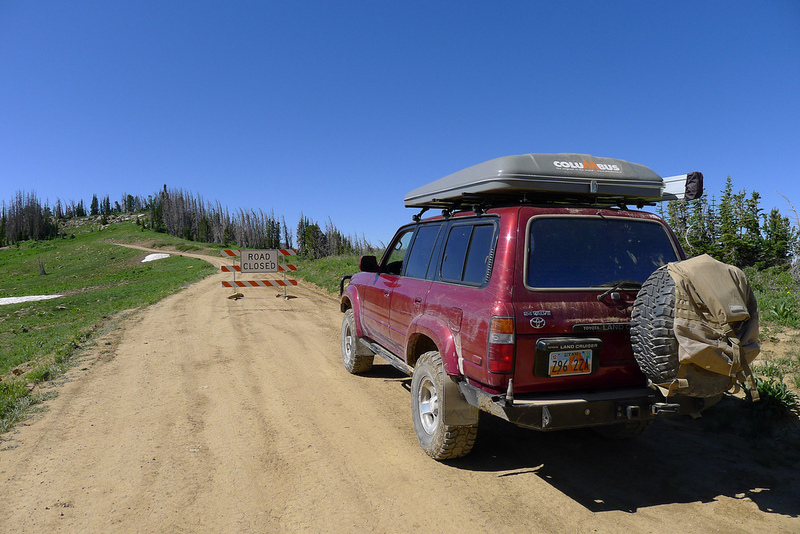 The Landcruiser is my overlanding vehicle of choice. I also have a Landrover Discovery, and while it is in many ways a great car, I prefer the legendary reliability of the Landcruiser. 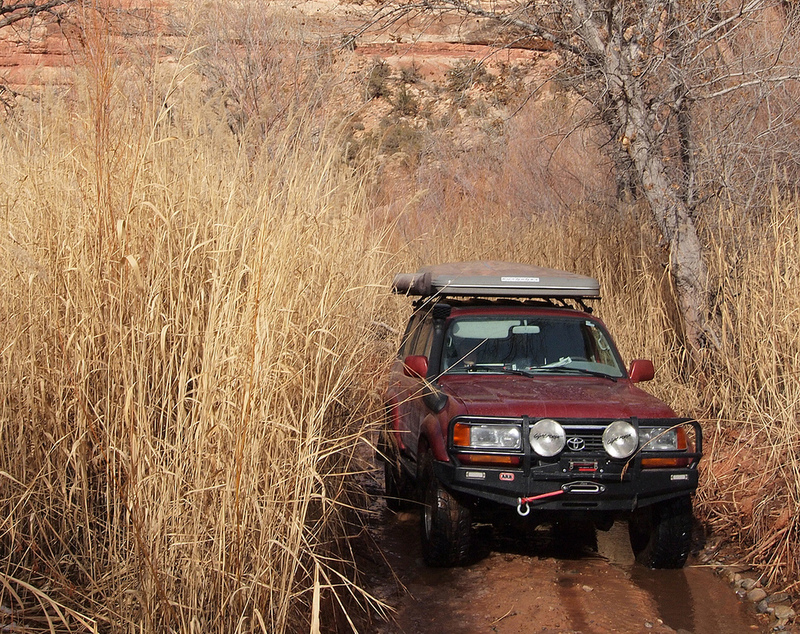 The Landcruiser model I drive is the 80 series, which was sold in the US from 1990 through 1997. Mine is a 1995 model that I bought used with just under 140,000 miles on the odometer. (For an 80 series, that’s just getting broken in.) Some 80 series Cruisers came from the factory with front and rear locking differentials, and mine is one of those. All of the 80 series Cruisers have solid axles (the last model Landcruiser with this feature) and are extremely robust. The straight-6 cylinder engine is durable, but not particularly powerful, so the 80 series isn’t a speed demon, especially on long uphill sections of highway. However, drop the transfer case into low range, and the 80 has plenty of torque and grunt to take you (slowly) up steep grades and over obstacles. My Landcruiser has a long list of modifications to make it even more capable off-road, including a 3 inch lift, Old Man Emu J-Springs and shocks, a Front Runner 40 gallon auxiliary fuel tank, front bumper with TDS winch, rear bumper with swing-out tire carrier, rock sliders, snorkel and diff breather hoses. I also installed an on-board, 5 gallon water tank in the inside rear quarter panel, and a Helton hot water system for showers, cleaning, etc. It has a second battery installed for running the winch, fridge and other electric accessories. One of the most useful modifications was lowering the gearing with 4.56 gears. This gives the truck a bit more grunt, and makes up for the larger tires. I can still cruise all day at 75mph, but going up hills is a lot easier now. As modified, my 80 series Landcruiser is pretty much the perfect overlanding vehicle for my needs. It’s tough, dependable, and can take me just about anywhere I need to go. I don’t do extreme rock crawling with it, but it’s capable of going up and down some pretty rugged 4×4 trails. Much of the work on my cruiser was done by Cruiser Outfitters. Roof top tents aren’t all that popular here in the United States. They were originally developed for use in Africa, where their roof-top location provided some protection from lions, hyenas, rhinos, and other wild life. Even without the need for separating yourself from hungry lions, I have found that a roof top tent provides a lot of convenience and comfort when compared with a traditional ground tent. The Autohome Columbus model I chose for my tent is a carbon-fiber, clamshell design which weighs about 85 pounds. (The fiberglass version weighs about 115.) It is super easy to deploy, and takes about 15 seconds. Just unlatch the latch, give it a push, and it pops up on its own. You don’t have to worry about muddy ground or clearing a tent site of rocks or brush. Just make sure that the vehicle is parked on reasonably level ground, and you’re done. Stowing the tent when you’re ready to go takes about 4 or 5 minutes. It has a very comfortable 3-inch thick foam mattress that has plenty of room for two adults (slightly larger than a typical queen mattress.) The tent is weather tight and sturdy. The only real downside of the roof top configuration is that if you have to pee in the middle of the night, you’re going to have to climb down a ladder to do so. I’ve had the Autohome tent for several years now, and have used it a lot in all seasons. It’s secure, convenient, and has provided me with many nights of comfortable sleep. 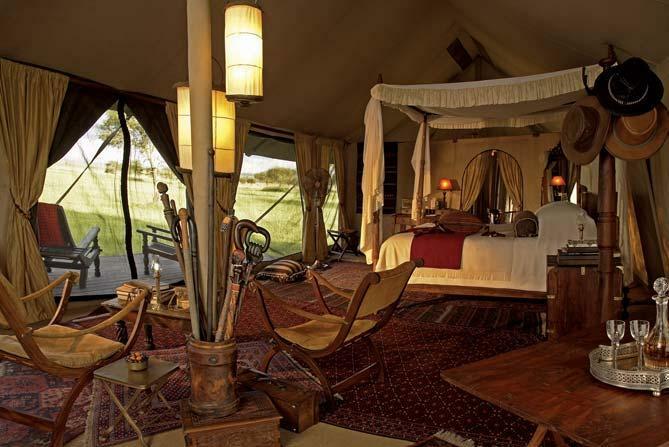 An awning provides much needed shade and protection from rain when you’re hanging out in camp. I use a Foxwing awning because it provides almost 270 degree protection, covering the entire right side and rear of the vehicle. It takes about 5 minutes to set up or take down, and it has sheltered me from hot desert sun, rain, and sleet. It’s not made to resist high winds, but mine has survived some strong gusts. Standard folding chairs take less time to set up, but the Kermit Chair folds down smaller, and its beautiful hardwood construction has a touch of class that simply can’t be equaled by something you bought at Wal-Mart. I recommend buying the add-on feet for additional height and for use on sand or soft ground. Kermit Chairs set up for lunch. These heavy duty plastic boxes are the best storage solutions I’ve found for keeping my gear organized in the back of my vehicle. I use three of these boxes to hold stuff that I regularly bring on trips. They are strong, light weight, and they stack nicely. I strap them to tie-down points to keep them from tipping over. The Bushranger X Jack is an inflatable jack that is more versatile than the ubiquitous high-lift jack. It uses the vehicle exhaust to inflate, and can be used in soft dirt or sand because of the large surface area of the contact point. There are more placement options for the vehicle jacking point as well. The Trasheroo is a simple but ingenious solution to how to take care of your trash. Storing trash inside your vehicle is stinky and messy. The Trasheroo is a nylon bag that attaches to your rear-mounted spare tire with buckles and straps. It holds a garbage bag inside it. This provides you with a secure place to put your trash outside of the vehicle. Brilliant! A proper fridge is a lot better than a cooler full of ice. You don’t have to worry about refilling the ice and it doesn’t get your food wet with melted ice water. There are a number of fridges on the market, and the ARB is one of the least expensive options that still has a good reputation for quality. 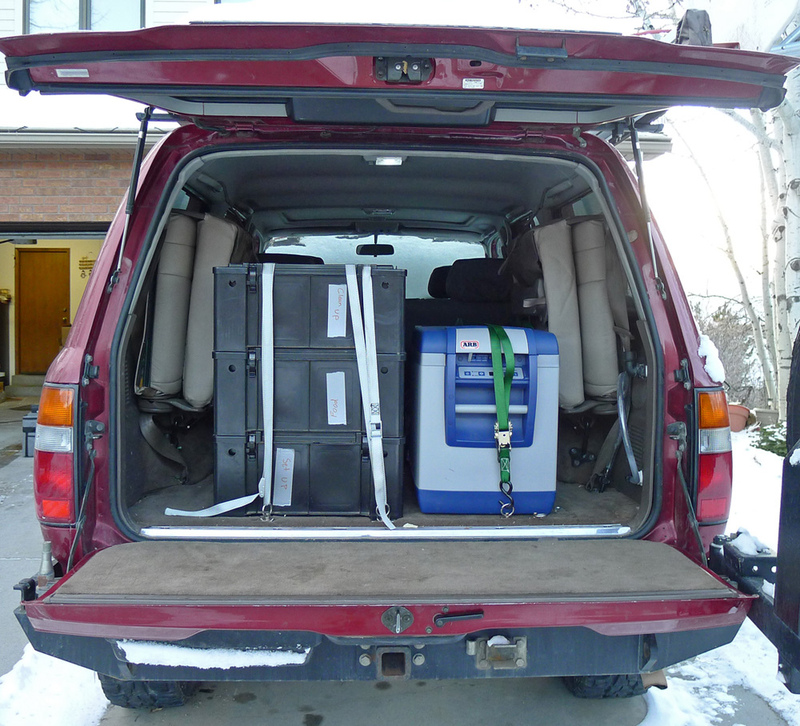 The ARB works as either a fridge or a freezer. There isn’t a separate freezer compartment, so you have to use the whole unit as either a fridge or freezer. My first ARB fridge was dead on arrival, and wouldn’t cool. It was replaced under warranty, and the replacement has worked pretty well. It cools well, but unevenly. Stuff on the bottom tends to be colder than stuff on top, so that you have to be careful not to put anything on the bottom that might freeze. I’ve also found that the thermostat isn’t particularly accurate. For my particular fridge, I’ve found that I need to set it about 10 degrees colder than my target temperature. A setting of 26 degrees seems to be about right for an actual temperature of about 36 degrees. The fridge plugs into a car 12 volt outlet with either a Hella plug or a regular “cigarette lighter” plug. I’ve found that with either plug, the connection can sometimes wiggle loose, cutting off electricity to my fridge. I’ve taken to checking the fridge at rest stops to make sure it’s still running. Power draw is pretty small, and I can run it for a couple of days without depleting my battery. In spite of a few imperfections, I really like my fridge. Having a real refrigerator has allowed me to carry a nice variety of food on my trips, from cheese to steaks to seafood. The Kamp Kitchn is an aluminum kitchen box that was made back in the 1950’s. I got mine off of eBay for less than $100. It’s a two sided box that opens on both sides. One half of the box contains storage space for plates, cooking gadgets, pots, and supplies. The other half of the box has a propane powered stove. 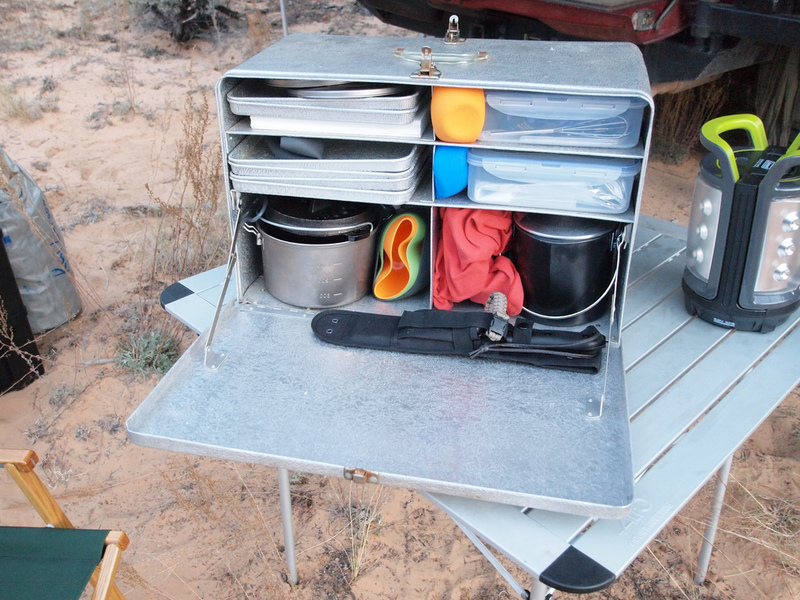 I like the lightweight aluminum construction of the Kamp Kitchn. Similar boxes made from stainless steel weigh a lot more than this aluminum design. The size is about right too: big enough to contain a useful amount of kitchen gear, but not so big it eats up all the available space in your vehicle. I don’t really like the stove. The 1950’s stove burner design doesn’t work as well as modern propane stoves, and it’s more susceptible to wind than modern designs. Still, it’s the best kitchen kit I know of, and significantly better than any modern kitchen kit I’ve found. Happy Camper folding charcoal starter. This gadget works well for getting your charcoal going. The characteristic that sets it apart from other charcoal starters is that it folds flat when not in use, which means it takes up a lot less space than similar products. The Rome mini folding grill is inexpensive, light weight, and compact. 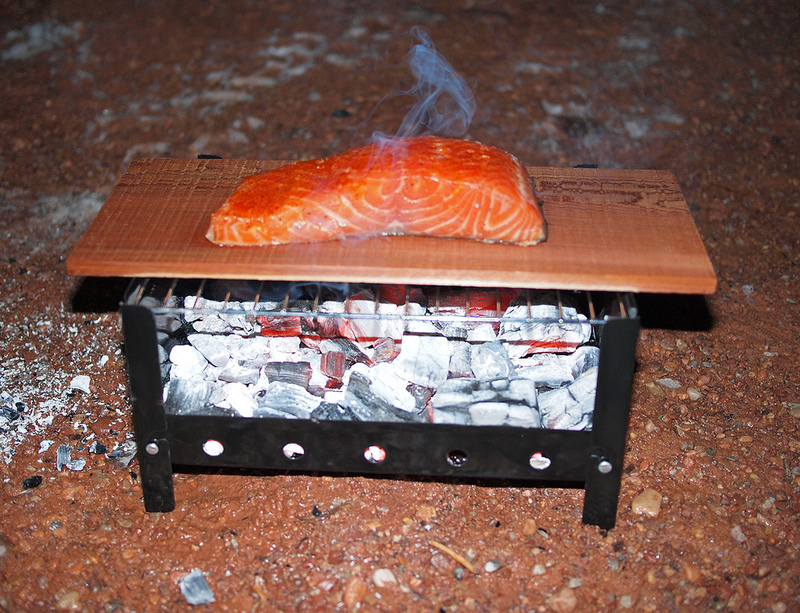 It’s a simple design, without any bells and whistles, but it works ok for grilling things. The Volcano Grill is much larger and heavier than the Rome mini grill, but works better for big grilling tasks. I recommend the addition of the heat resistant fabric hood for times when you want even, all-around heating. It works great in conjunction with a Dutch oven or Potjie too. I love cooking in cast iron. 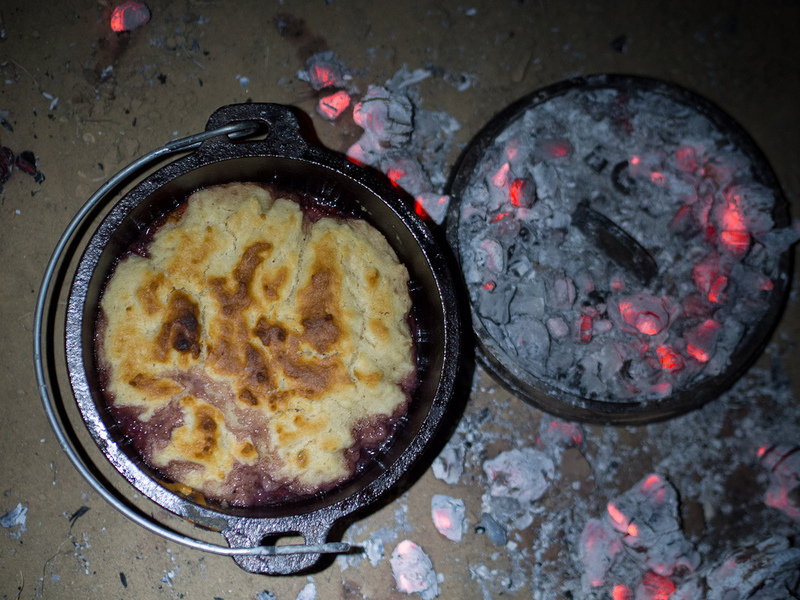 In addition to the traditional American Style camp Dutch Oven such as those sold by Lodge, I use a South African style “Potjie” which has a rounded bottom. I’ve found that the rounded bottom of the Potjie makes it less prone to burning stuff on the bottom than the flat-bottomed American style. In addition to using the Potjie for traditional Dutch oven tasks such as baking cobblers, etc, the Potjie also makes a great all around cooking pot for stews, curries, and other camp dishes.